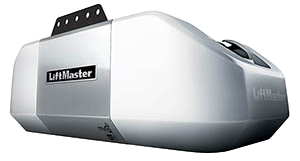 LiftMaster and Genie believe it is important that all garage door openers manufactured prior to 1993 be replaced, as opposed to being repaired. This is to ensure the highest degree of customer safety and satisfaction. To learn more about our position on pre-1993 openers, click here or here. 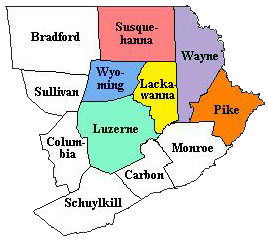 As door openers reach the 10-15 year age, they can begin to experience any number of problems. The cost of parts and repair may not be worth continuing to put money into the old unit, much like an old car. When your garage door opener is more than 10 years old and begins to experience major issues or component failures, we recommend looking into purchasing a new opener. Call us to discuss the options for repairing your old opener. For information on opener accessories such as remotes or wall stations, visit our FAQ page. We offer three main types of units listed below. Currently, we carry 1 chain drive unit, 2 belt drive units, and 1 wall mounted unit. All of our LiftMaster residential openers offer WiFi capability so you can control your garage door from anywhere in the world. They also include 1 remote, 1 interior wall station, and a set of photocells. 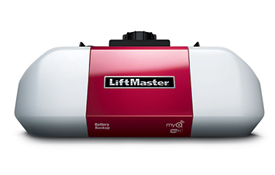 Liftmaster belt drive systems offer the ultimate in quite operation. Each delivers smooth-running power and reliable performance year after year. 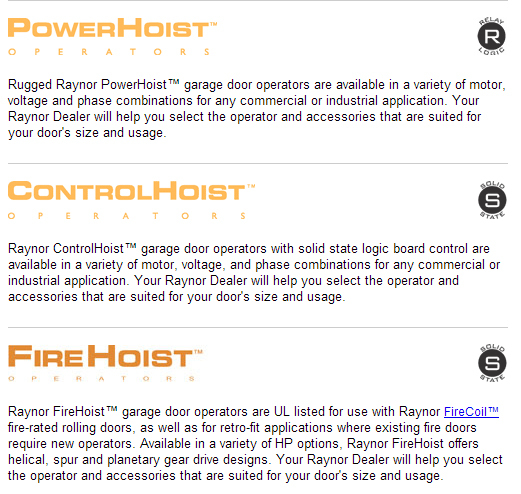 They are the perfect choice for homes with living space above or next to the garage door. Our top of the line opener is battery-backup capable, which means you can access your garage door even during power outages. 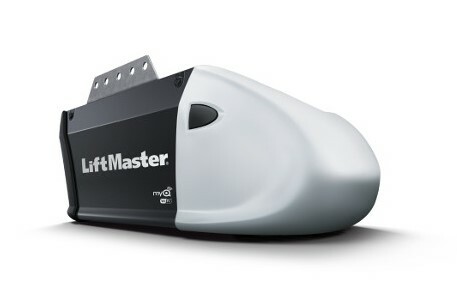 The Liftmaster Wall Mount Garage Door Opener mounts on the wall beside the garage door, freeing up ceiling space, and is available with an optional power standy system that continues working even when the power goes out. The 8165 is our standard chain drive unit built for amazing value and great reliabiliy. The durable chain along with the 1/2 HP AC motor allows this unit to open your garage door with ease. LiftMaster’s 8165 comes with MyQ WiFi capbaility to allow you to open your door from a smart device. Click here to learn more. The 8355 is our standard belt drive unit. The 8355 offers amazing power, performance, and reliability. 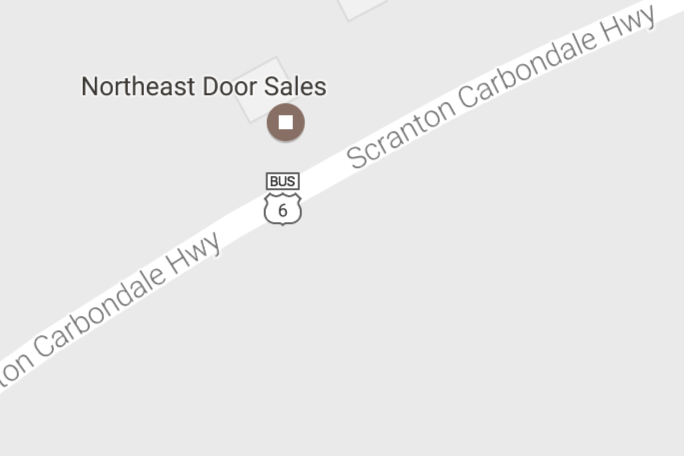 If you prefer not to hear your door opener, this option may be for you! The durable belt along with the 1/2 HP AC motor allows for smooth and extremely quiet operation. 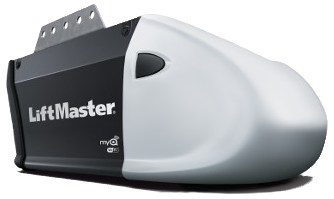 LiftMaster’s 8355 comes with MyQ WiFi capbaility to allow you to open your door from a smart device. Click here to learn more. The 8550 is our top of the line belt drive unit. This is the quietest opener we offer. With a DC motor and a super quiet belt, the 8550 couples power and efficiency with silent operation. It also includes an upgraded interior wall station. Best of all, it comes with battery backup so that you can continue running your garage door even when the power goes out. 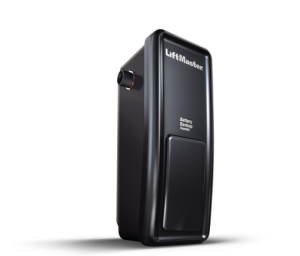 LiftMaster’s 8550 features MyQ WiFi capbaility to allow you to open your door from a smart device. Click here to learn more. The 8550 is designed for space optimization. This opener is used in spaces where trolley openers are unable to be installed. It features a DC motor allowing quiet performance. LiftMaster’s 8500 comes with MyQ WiFi capbaility to allow you to open your door from a smart device. Click here to learn more.